You’ve heard it before. 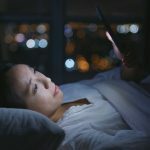 If you sleep the recommended 8 hours a night, you will spend a third of your life in bed. Well, it’s absolutely true. And if you’re going to spend that much of your time lying down, why not gift yourself with a luxurious mattress to lie down on? There are a lot of luxurious mattresses on the market, and figuring out which one is right for you can be difficult. Well, that’s where this list comes in. Below, you’ll find what we consider to be four of the best luxurious mattresses you can buy online. You’ll find a variety of mattress types on our list, including memory foam and latex mattresses. 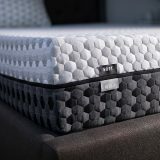 And while each mattress is unique in one way or another, one thing they have in common is glowing reviews from happy customers. Another thing we considered is price. Because now days, it’s possible to get a great mattress without spending a fortune. So, without further ado, here are our picks for four of the best luxurious mattresses on the market. 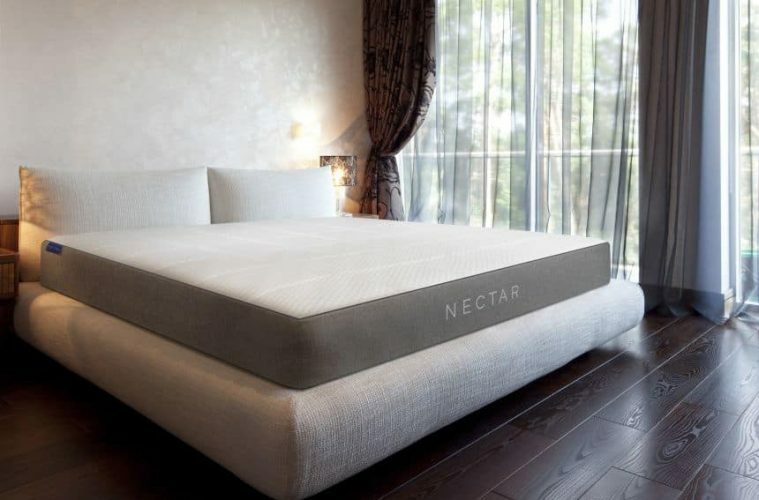 Nectar Mattresses are designed to give you the best sleep of your life. In fact, the makers of the mattress guarantee it. And considering that 100,000 happy customers have purchased the Nectar Memory Foam Mattress, it’s hard to argue with that claim. So why are buyers so happy with their Nectar Mattresses? 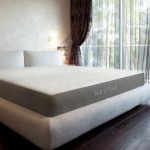 The makers of the Nectar Mattress used the latest in mattress and fabric technology to design a mattress that’s firm yet comfortable. The mattress is described as “medium firm.” This means its firm enough to give your body the support it needs. But it’s also plush enough to contour to the shape of your body, and give you a comfortable sleeping experience. And the mattress is breathable too. So even on hot nights, the Nectar Mattress’s heat regulating properties will help you stay cool. The Tencel Cooling Cover is made of a soft, breathable fabric that promotes air circulation. 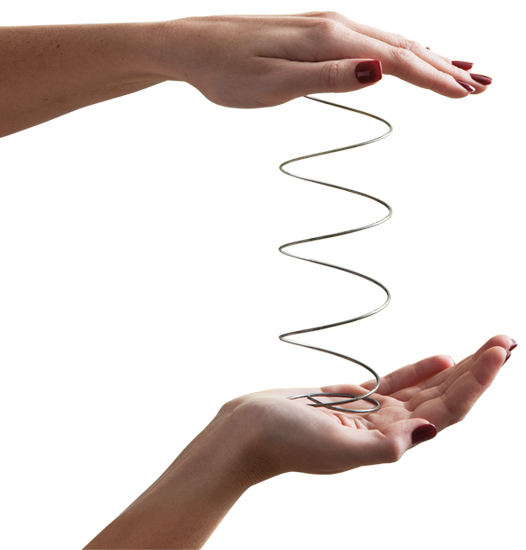 Not only does it wick heat away from your body while you sleep, it also wicks away unwanted moisture. 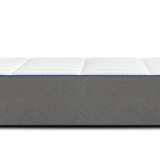 Nectar Memory Foam Mattresses are made with Adaptive Hi Core Memory Foam, a recovery foam designed to give your body the support it needs while you sleep. 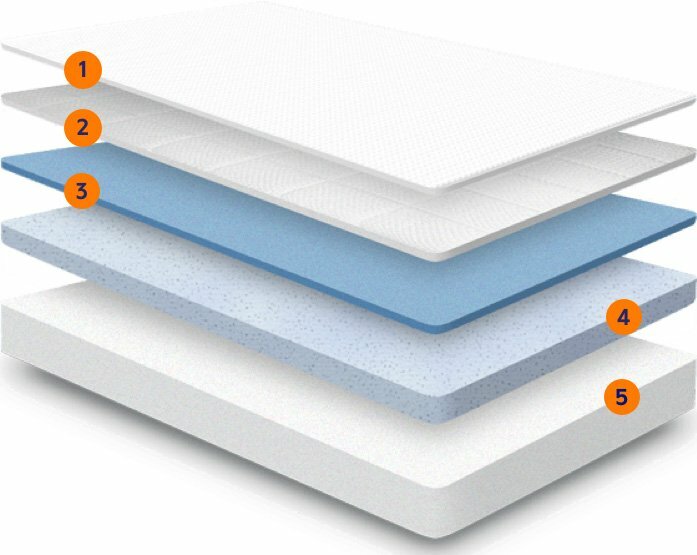 The Nectar Mattress is composed of two layers of gel memory foam. 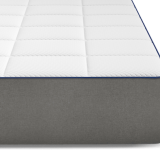 The breathable base layer gives the mattress added stability. 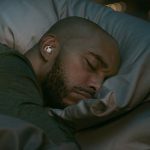 And the top layer of quilted gel memory allows air to circulate through the mattress and beneath your body, which will help keep you cool at night. 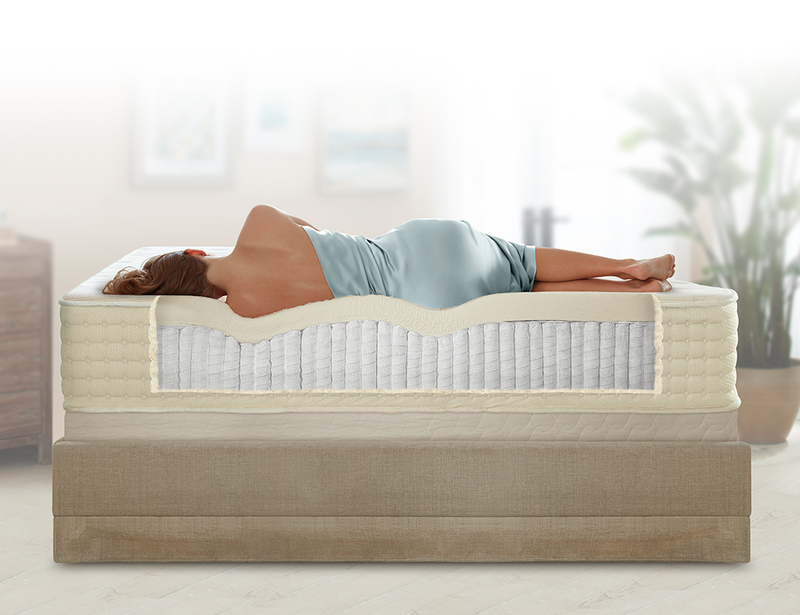 Not only does the mattress contour to fit your body, it also helps distribute your weight more evenly across the surface of the mattress, which provides even more comfort and support. 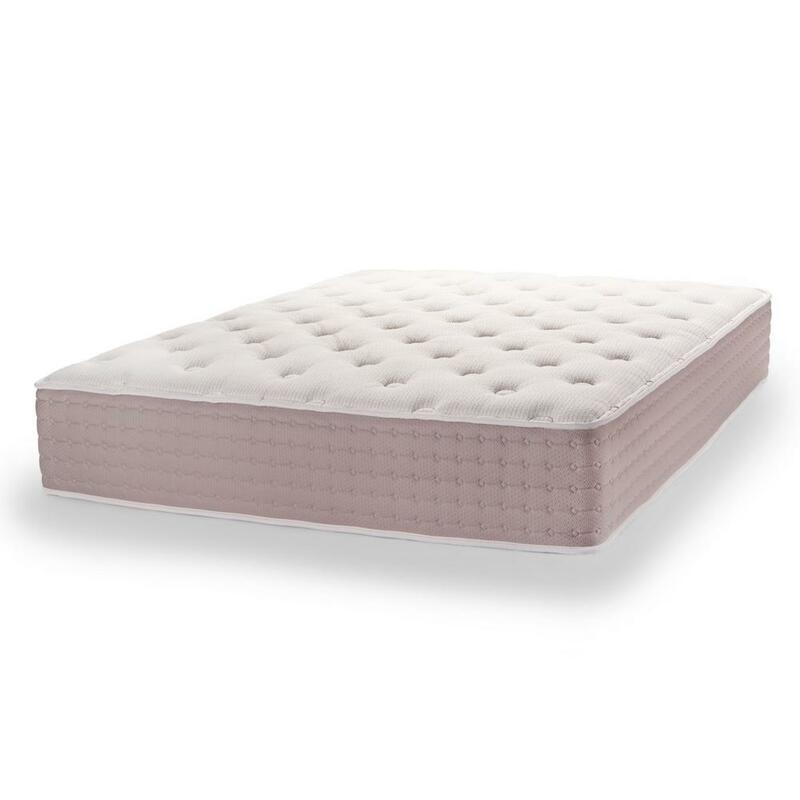 Nectar Memory Foam Mattresses are CertiPUR-US® Certified. 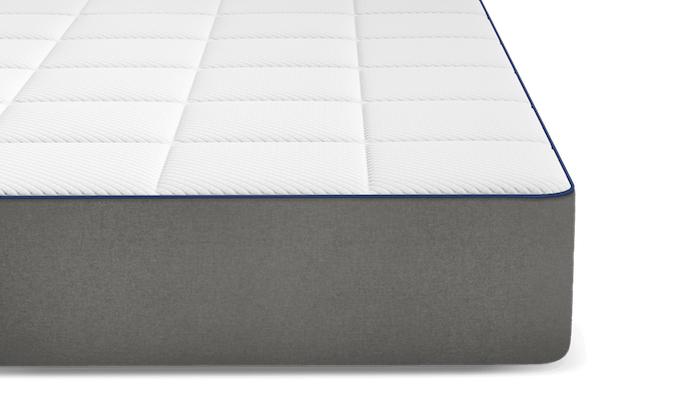 That means the flexible foam used to make these mattresses contains no mercury, lead, ozone depleters, or other potentially harmful components. The materials used to make the mattress also ensure that it will always be free of dust mites, which is a nice bonus. You can use the Nectar Mattress with any kind of bed, including platform beds, beds with traditional frames, and beds with box springs. When you order a Nectar Memory Foam Mattress, it will be shipped within 3 to 5 business days. The mattress is delivered right to your door, and can be set up in minutes. The Nectar Mattress will arrive encased in a protective carrier. The carrier has handles, which make it easier to move the mattress around. This means you can carry your brand new Nectar up a flight of stairs with no problem. Shipping to the contiguous US is free. And while you can buy a Nectar by making a one-time payment, financing is available to those who qualify. Each Nectar Mattress is covered by a 365 Night Home Trial. This means you can try the mattress for an entire year at no risk. If you don’t love your Nectar, just let the company know. You won’t have to pay shipping to return to the mattress. Instead, the company will work with you to either have the mattress donated to charity, or to have it locally disposed of in some other way. The Nectar Mattress is also covered by a Forever Warranty, so your mattress is guaranteed for as long as you own it. Customers have great things to say about the Nectar Memory Foam Mattress. According to one buyer, she has owned beds that were more expensive. But nothing was more comfortable than her Nectar Mattress. Another customer was surprised that the mattress was both soft and firm. He also appreciated that the bag his king sized mattress came in had handles. They had to carry the mattress up a flight of stairs, and the handles made that a lot easier. One customer seemed thrilled to have found a mattress that worked for both her and her husband. Even when she was eight months pregnant, the Nectar gave her some of the best nights of sleep she’d had. And her husband, who sleeps on his side, also loved their Nectar Mattress. And one man praised the Nectar as the most comfortable memory foam mattress he and his wife had ever slept on. It managed to be both firm and plush, didn’t emit any unpleasant smells, and stayed cool throughout the night. 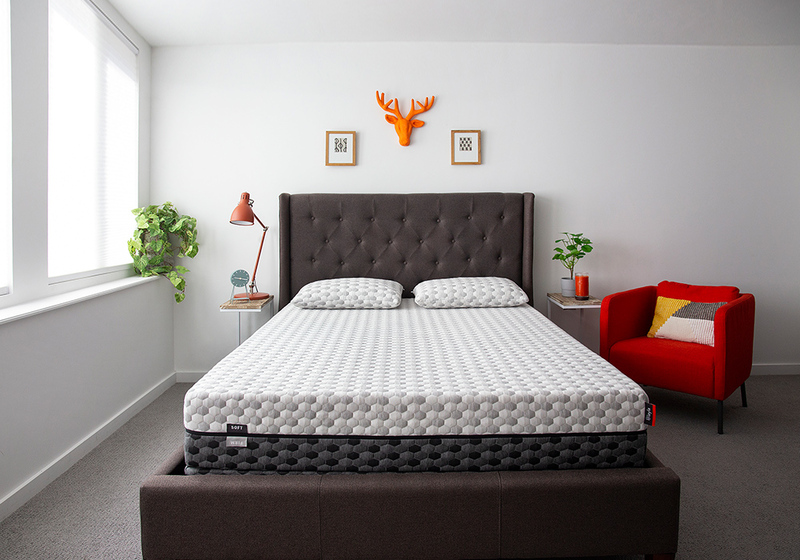 The folks at PlushBeds say that sleeping on one of their natural latex mattresses is like sleeping on a cloud. And over 50,000 satisfied customers seem to agree. Visit the PlushBeds website and you’ll see that you have several luxurious, natural latex mattresses to choose from. The most popular natural latex mattress PlushBeds makes is the Botanical Bliss Organic Latex Mattress. 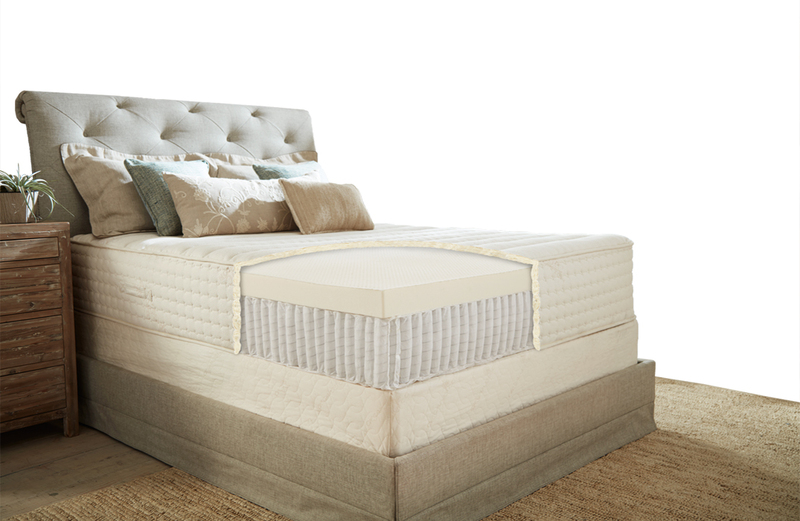 This award winning mattress has adjustable firmness layers. This means you can customize the firmness of the mattress to suit your needs and preferences. Another option is the Luxury Bliss Natural Latex Mattress. This one has encased coils which give you comfort plus a little extra support. And the way it’s designed, the movement of one partner won’t disturb the other. This is great if one of you is a restless sleeper. Or maybe you’ll like the Natural Bliss. This mattress, which is made of 100% all natural latex, is a vegan product. No wool is used in its construction. And this is the model PlushBeds recommends most for kids. 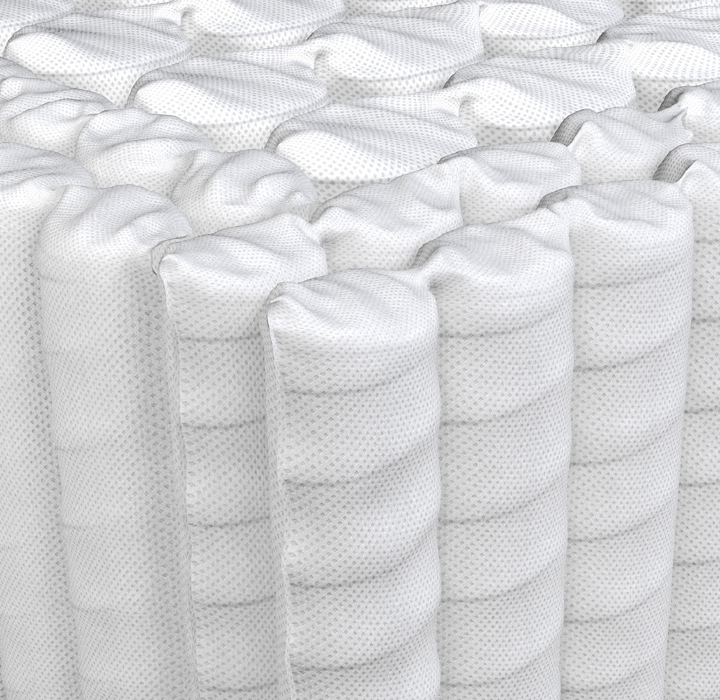 PlushBeds mattresses are handcrafted in the USA using natural, certified organic materials. All of their mattresses are GreenGuard Gold Certified. You don’t have to worry about your mattress containing dangerous chemicals, or emitting harmful fumes. PlushBed’s 100% all natural Arpico latex is sustainably tapped from the Hevea brasiliensis tree. It’s hypoallergenic, and doesn’t contain any harsh chemicals. And Arpico natural latex is considered the industry standard in terms of quality. GOLS Certified organic latex has a lot of appealing properties. It’s anti-microbial, so it’s resistant to mold, mildew, and other potential allergens, including dust mites. 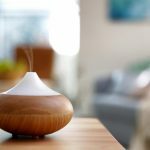 Organic latex also doesn’t omit the unpleasant smells mattresses made with some other materials sometimes do. 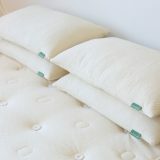 PlushBeds also uses GOTS Certified organic cotton, and GOTS certified organic wool. Their organic cotton is grown sustainably, and without the use of potentially harmful pesticides or herbicides. Their organic wool is breathable, providing heat regulation that helps you stay cool throughout the night. The wool also helps a mattress give you extra support. As far as comfort goes, PlushBeds natural latex mattresses are designed to provide you with ergonomic alignment and support, and relieve the pressure points that can cause both hip pain and shoulder pain. When you order a mattress from PlushBeds, it will be shipped within 7 to 9 business days after you’ve placed your order. Shipping is free to the contiguous US. Delivery is also free. In fact, the mattress is brought right to your door at no extra charge. Financing is available. 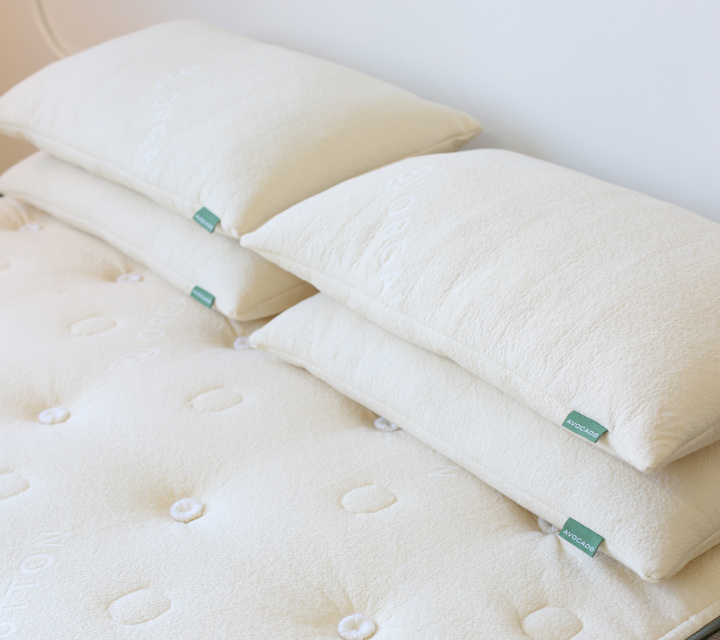 If you qualify, payments for your PlushBeds Natural Latex Mattress can be spread over as many as 12 months. 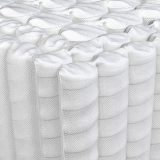 PlushBeds mattresses are covered by a 25 year manufacturer’s warranty. PlushBeds also offers a risk free trial. You can try one of their mattresses for 100 nights. If you’re not happy with the mattress, you’ll get a full refund. And the mattress will be picked up at no extra charge. PlushBeds mattresses have received excellent reviews from satisfied customers. According to one buyer, his PlushBeds mattress gives him a great night’s sleep. He also likes knowing the mattress is made with quality natural and organic materials, and without chemicals. One man said that he and his wife are both runners, and both suffer from recurrent hip pain and lower back pain. But their PlushBeds mattress has greatly helped to alleviate those issues. 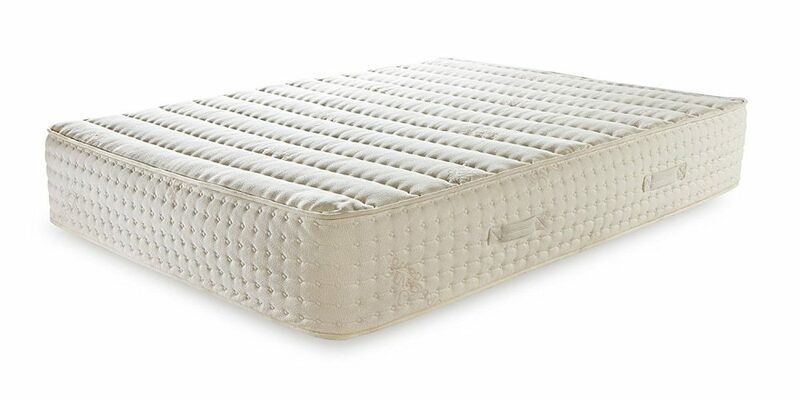 Their mattress is comfortable, gives them cushioned support, and also relieves pressure points. Now, they wake up feeling great every morning. Another customer said that, thanks to the premium materials and quality workmanship, she thinks her mattress is quite beautiful. Not only was their PlushBeds mattress better than anything they’d found in the stores, it was better priced. She also praised the company’s ethical and environmentally conscious business practices. Another buyer said she did a lot of research before choosing a PlushBeds mattress, and she doesn’t regret her decision. Not only is her mattress comfortable, it also gives her body plenty of support. And considering the quality of rest she now gets, her PlushBeds mattress was worth every penny. 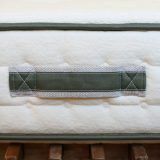 Avocado Green mattresses are handmade in the USA, and the company boasts that their product is a “natural mattress.” It fits, especially considering that Avocado Green mattresses are made using 100% natural latex rubber, GOTS organic certified cotton, and natural wool. And, if you don’t want wool in your mattress, they also offer a vegan mattress. 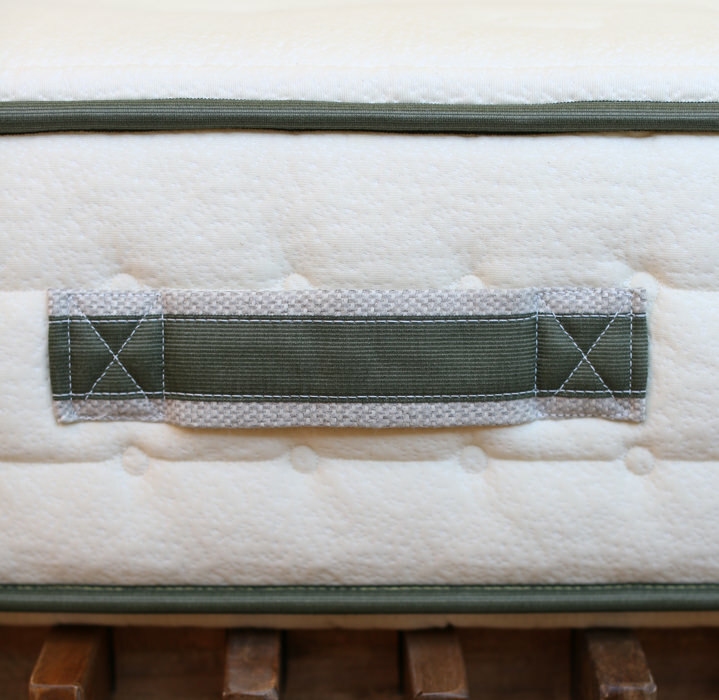 Here are some of the things we like about the mattresses from Avocado Green. The folks at Avocado Green wanted to create a balanced mattress. So their mattresses are firm enough to give your body ample support, but comfortable enough to be a pleasure to sleep on. And that applies whether you sleep on your back, your side, or your stomach. For an additional fee, you can get a mattress with a Euro-Style, button-tufted pillow-top. 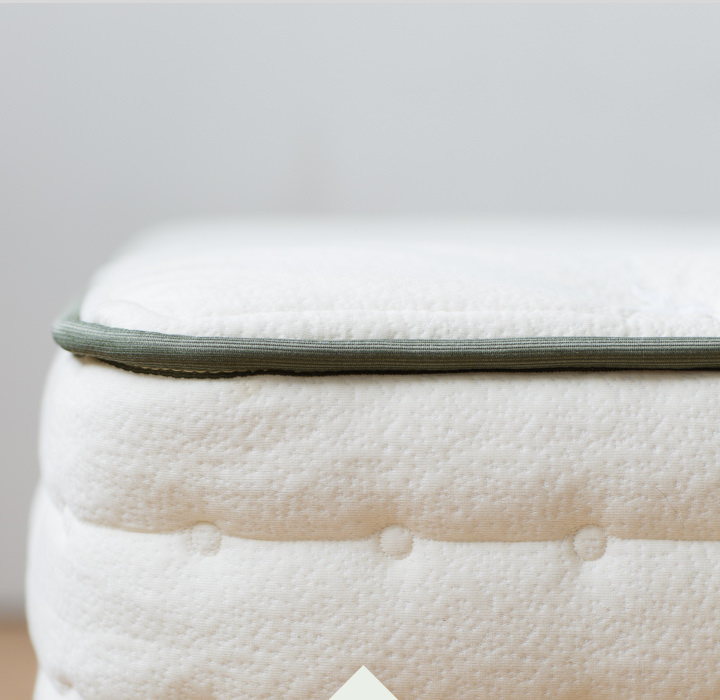 The pillow-top gives you two more inches of natural latex, which makes the mattress a bit more plush, and provides even more relief for pressure points. On a firmness scale of 1 to 10, the standard Avocado Green mattress rates a 7, while a standard mattress with a pillow-top rates a 6. If you choose to order a mattress with a pillow-top, keep in mind that the pillow-top will be permanently attached to the mattress. Avocado Green’s mattresses have a zoned, internal pressure point system that ensures that your back and spine, hips and shoulders are always kept in proper alignment. The mattresses from Avocado Green are GreenGuard Gold Certified, and made with natural and organic materials. They’re also free of polyurethane foams, and chemical flame retardants. 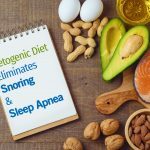 In fact, the folks at Avocado Green pride themselves on the fact that there are no toxic materials in their mattresses. 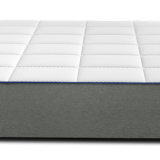 The 100% natural Dunlop latex rubber foam used in Avocado Green mattresses is eco-INSTITUT certified, and comes from tree-tapped and sustainable sources. 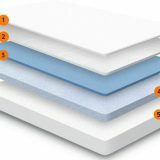 This material is durable and resilient, and also provides each mattress with temperature control. The wool used in Avocado Green’s non-vegan mattresses is GOTS certified. The wool wicks away moisture, and even acts as a natural fire barrier. Because the wool is antimicrobial, it is dust-mite resistant. And, like natural latex, wool provides a mattress with temperature control. 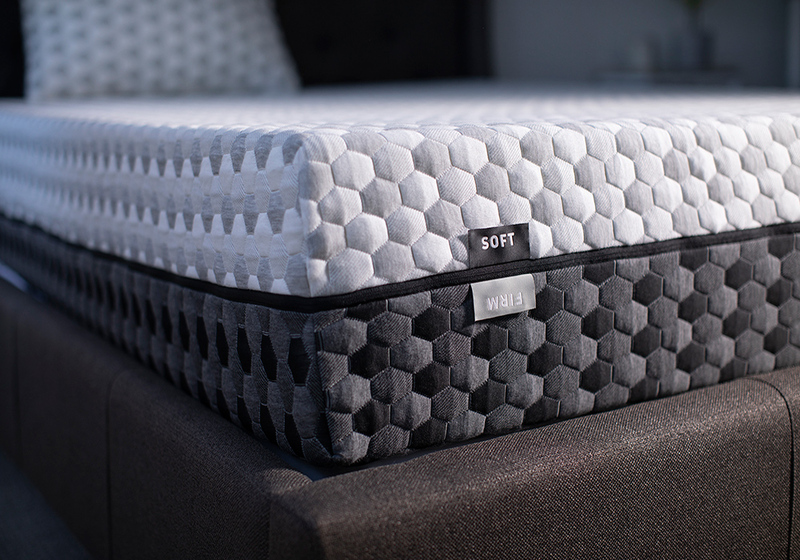 The button tufted mattress covers are made using GOTS certified organic cotton. This material is soft and luxurious, and is one of the most comfortable and breathable fabrics on the market. And, like some of the other materials used in these mattresses, the cotton wicks away unwanted moisture, and keeps you cool while you sleep. When you purchase a mattress from Avocado Green, shipping is free. For an extra fee, they will deliver and unbox the mattress in a room of your choice, and even take away and recycle your old mattress. You can take advantage of this optional, in-home delivery service anywhere in the USA, including Alaska and Hawaii. Financing is also available. If you qualify, you can pay for your Avocado Green Mattress over the course of 6 months, 12 months, or 18 months. Every Avocado Green mattress is covered by a 25 year warranty. They also offer a 100 night, risk free sleep trial, which begins the moment you receive your mattress. If you’re not happy with the mattress, the company will arrange to have it picked up (at no charge to you), and you’ll receive a full refund. Customers seem to love their Avocado Green Mattresses. Just look at the reviews. One buyer, who’d been diagnosed with arthritis in her neck and degenerative disc disease, said her old mattress was making her aches and pains worse. At her chiropractor’s suggestion, she started looking for a new bed. She wasn’t so sure about buying over the Internet, but she’d heard great things about Avocado Green. And, from the first night, she’s enjoyed some of the best nights of sleep she’s had in years. Another buyer praised many things about her Avocado Green Mattress, one being the temperature control. She lives in the desert where temperatures can reach over 110 degrees in the summer. But, thanks to her Avocado Green Mattress, she is able to stay cool while she sleeps, even on hot summer days. She also praised the company’s customer service. 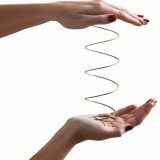 No matter how many times she contacted the company with questions, those questions were answered promptly and patiently. Another customer said she found her Avocado Green Mattress with the pillow-top to be firm yet comfortable. She no longer wakes with a morning backache. And she doesn’t get the head congestion she used to get within five minutes of lying down on her old mattress. All in all, she seems more than happy with her Avocado Green Mattress. Made in the USA, the Layla Mattress is one of the more unique picks on our list. Not only is it a memory foam mattress, but copper is used in its construction. Really, the list could go on and on. So what’s so great about the Layla Mattress? Layla Mattresses are made using copper. Copper is heat conductive. This means excess body heat is pulled away from the surface of the mattress, which helps you stay cool through the night. Copper adds support to the mattress. As a result, the Layla relieves pressure points, and helps your body stay aligned as you sleep. Copper is also antimicrobial, so Layla Mattresses are resistant to potentially harmful bacteria. It can be hard to decide whether you should buy a firmer mattress, or a mattress that’s more plush. Fortunately, with the Layla Mattress, you can have both. 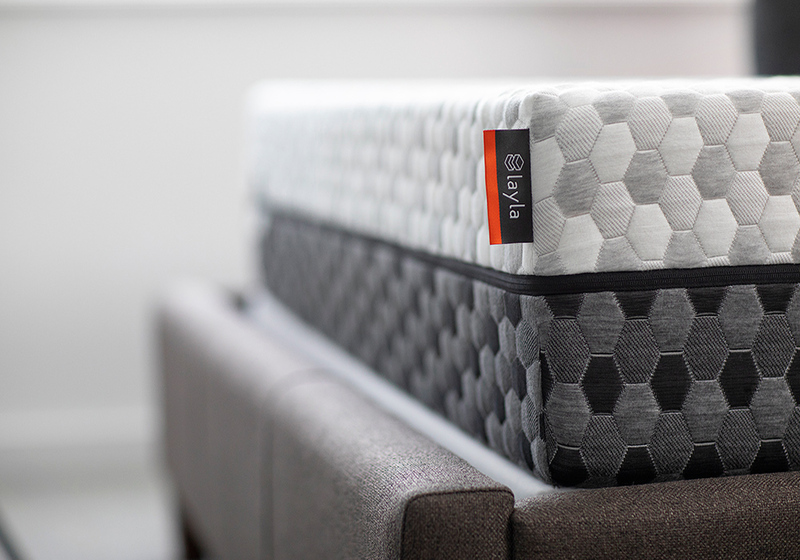 With the Layla, you get two firmness options from one mattress. One side is firm, for those who need extra support. And the other side is more plush, for those who enjoy sleeping on a softer mattress. So, for example, you can start off sleeping on the firm side of the mattress. But if you decide you to sleep on a softer surface, just flip the Layla over and you’ll instantly have a more plush mattress. On a firmness scale of 1 to 10, the soft side of the Layla rates a 4.5, while the firm side of the Layla rates a 7.
Financing is also available. If you qualify, you can pay for your Layla by making monthly payments. And your payments can be spread out over 3 months, 6 months, or even 12 months. 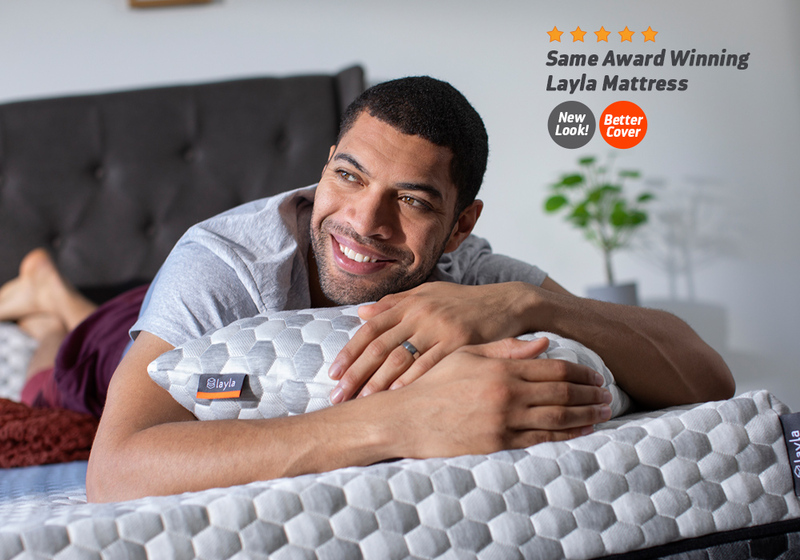 Layla Mattresses are covered by a Lifetime Warranty. This warranty covers things like sagging, the mattress losing its shape, or the mattress losing its height. You can try the Layla Mattress risk free thanks to the 120 night trial. If you’re not satisfied with your mattress, you’ll get your money back. Not only will you get a full refund, but the mattress will be donated to a local charity. 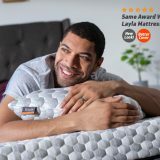 So what are real customers saying about their Layla mattresses? One buyer said that she’s had neck surgery and two back surgeries. But after one month of sleeping on the Layla, she hadn’t experienced any pressure point related hip pain or shoulder pain. It took a few nights for her to adjust to sleeping on her new mattress. But now she’s enjoying the best nights of sleep she’s had since her injuries and surgeries. Another buyer said that she’s loved her Layla mattress since the first night, and she always wakes up feeling great. She goes on to say it’s the most comfortable bed she’s every owned, and her husband no longer suffers pains from sleeping. She also loves the way the Layla looks without sheets, something she wasn’t expecting. Another customer said they and their spouse both suffer from back, hip and should pain. 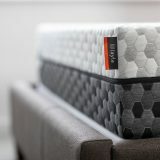 But the first night they slept on their Layla mattress they noticed a drastic improvement, and they’re now enjoying the best sleep they’ve had in 15 years. Do you want a luxurious mattress that helps you sleep comfortably through the night, and helps you wake up energized and ache free? Then we’re confident that you’ll find what you’re looking for on our list.Happy sleeping.